This trend hails from California and is one that should last: eco-responsibility and Do It Yourself (DIY). 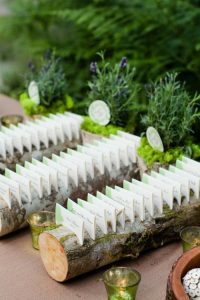 It can be applied daily and holds a solid place in the very heart of the 2017 “green” wedding, from the invitation to good grub by way of the wedding band. “You are invited” by email! In these 2.0 days, announcements are digital and guests can reply using text messaging. 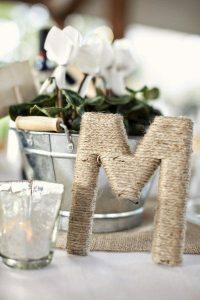 Some of the betrothed even go as far as creating a blog or website to share practical wedding information. Why not? Some advice for the more traditional-minded: send invitations by regular mail but use recycled paper. The same goes for seating plans that you can do yourself. Furthermore, in the spirit of reducing CO2 emissions, we encourage guests living in the same general area to carpool. On site decorations could not be any more rustic. Flowers are provided by a local merchant, and, whether fresh or dried, ideally in season. Wildflower bouquets, lavender and eucalyptus stems abound. 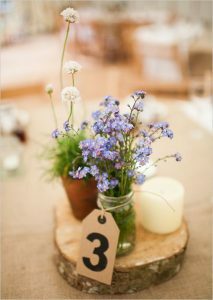 Tables can also be adorned with lovingly hand grown succulent plants, mixed herbs or potted flowers. 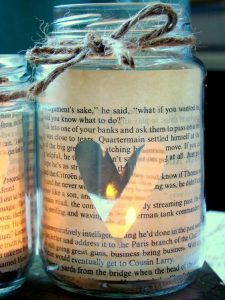 It goes without saying that the lighting gently and intimately sets the ambiance using a multitude of candles of various sizes, or even with a selection of energy efficient light garlands. On the menu, local products, preferably organic and in season, are in the spotlight, as are the wines, drinks and spirits, delicacies crafted by local artisans. The wedding dress is made of natural fabric, or, in vintage fashion, consists of a pretty, previously worn outfit that can be rented. Wedding bands are made from recycled gold and gems are fair trade, whether they are diamonds or this year’s very fashionable semi-precious stones. “Blood diamonds” should therefore be avoided. For additional guidance, please feel free to contact us!